A beautiful sunflower cross stitch machine embroidery design. 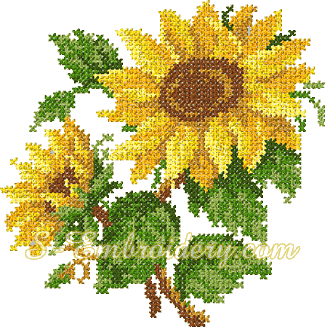 The design is also available as a part of the SKU 10072 Cross stitch sunflower embroidery set along with another sunflower cross-stitch embroidery design. If you order the set, you will SAVE 10%.